The Statue of Liberty Enlightening the World reigns over New York Harbor. 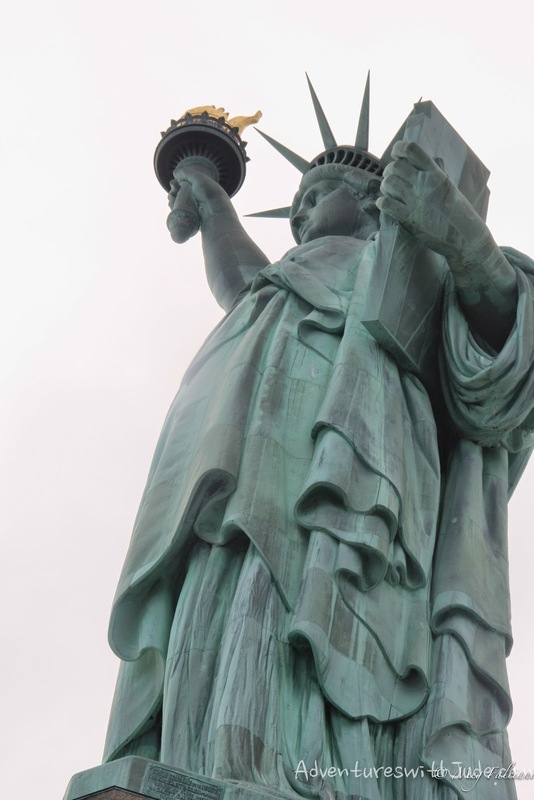 A gift from France in 1886, she was the first thing many immigrants saw after a long journey to this new country, and was a symbol of the opportunity and freedom that awaited them. We've been to visit her several times over the years. 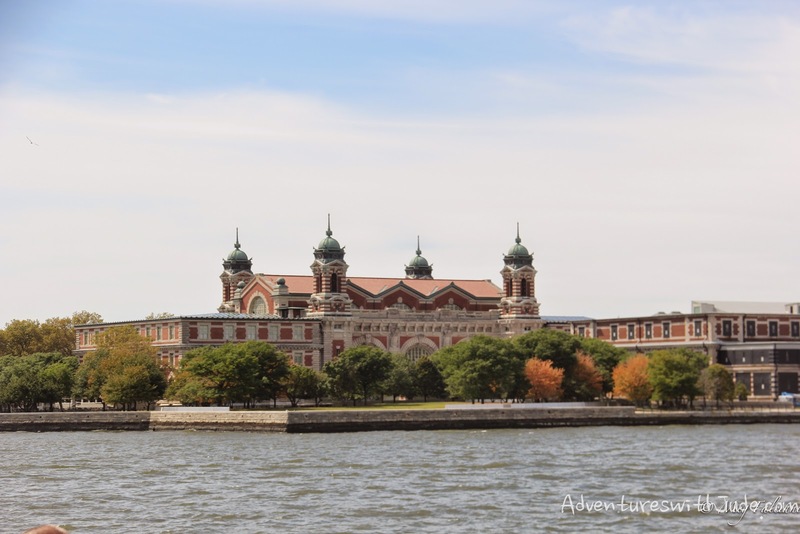 A few years ago, Matthew and I visited Ellis Island as well, and were able to search records for his great-great grandparents' immigration. On our trip last fall, we only went to Liberty Island, because Ellis Island was closed due to damage from 2012's Superstorm Sandy. (It has since re-opened on a limited basis.) 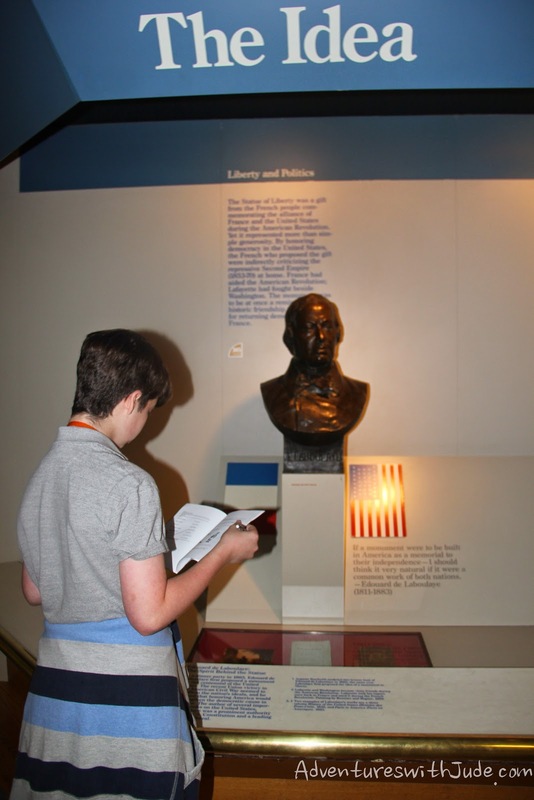 Though we have been to visit the statute on several occasions, on our last trip there we explored using the National Parks Junior Ranger program. 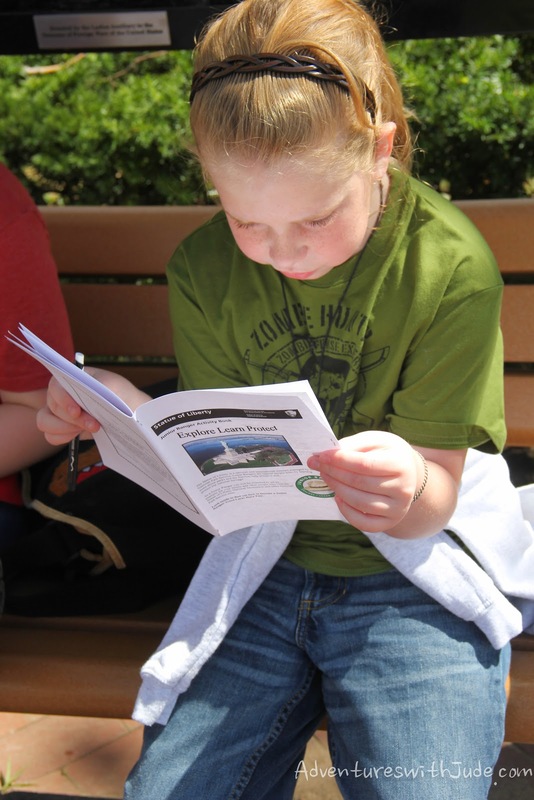 Most National Parks have a Junior Ranger program. 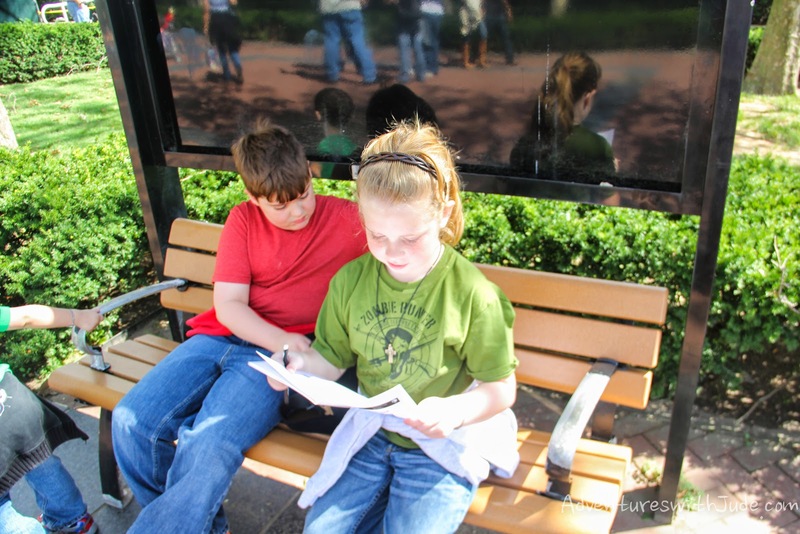 They are a great way for children (ages 7-12, usually) to explore a site in an age-appropriate manner. 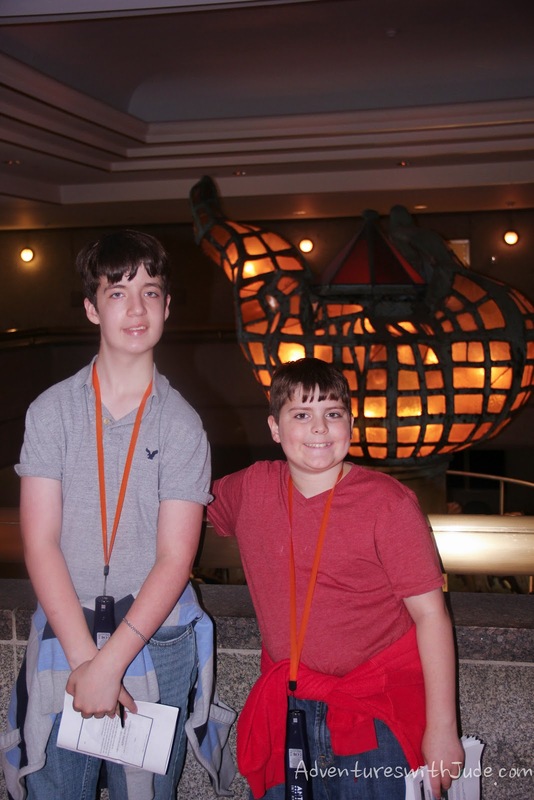 We've done the programs at Hopewell Furnace National Historic Site and Everglades National Park and have learned a lot about the sites without becoming bored, and were excited to add the Liberty Island badge to our growing collection. 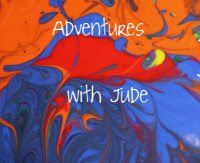 Before we left, we downloaded and printed the booklets. (While most Parks do keep spare books on hand, due to damage from Sandy, there are no books available on the Island at this time.) 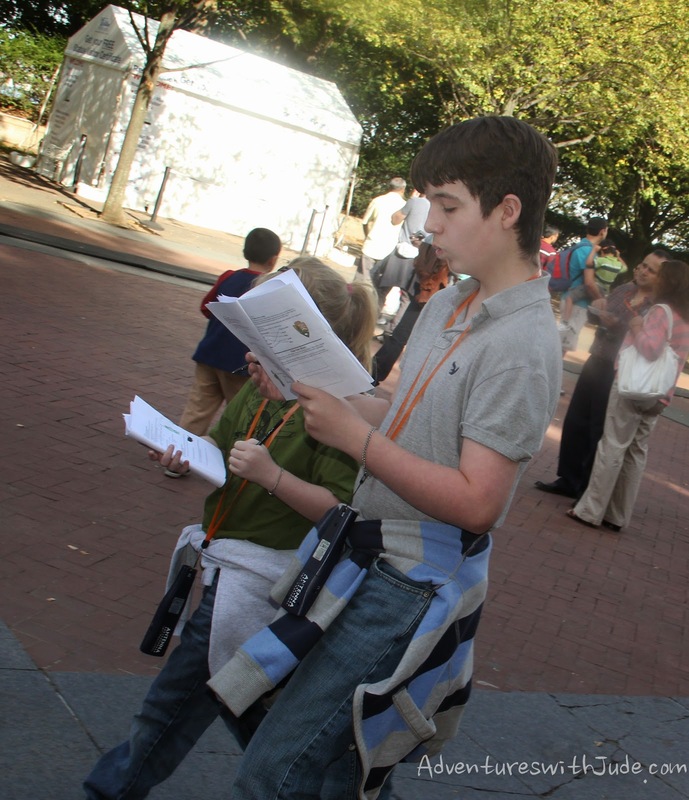 Though Luke was a bit outside the age bracket, he also completed the program as part of an assigned activity for school. First, we purchased ferry tickets at home. 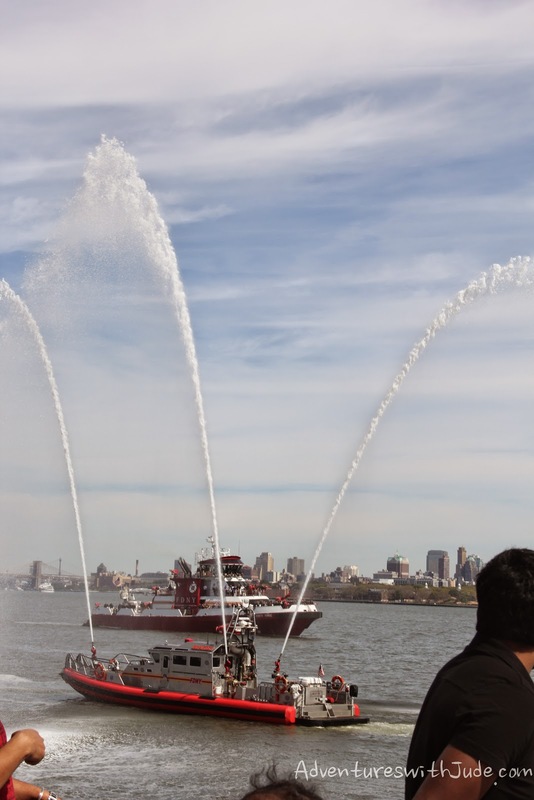 Although you can begin your tour in either Liberty State Park in New Jersey (where we departed from) or Battery Park in New York City, the only way to get to the Statue is via ferry. The official ferry provider is a private company, Statue Cruises, but there are other ticket sellers. 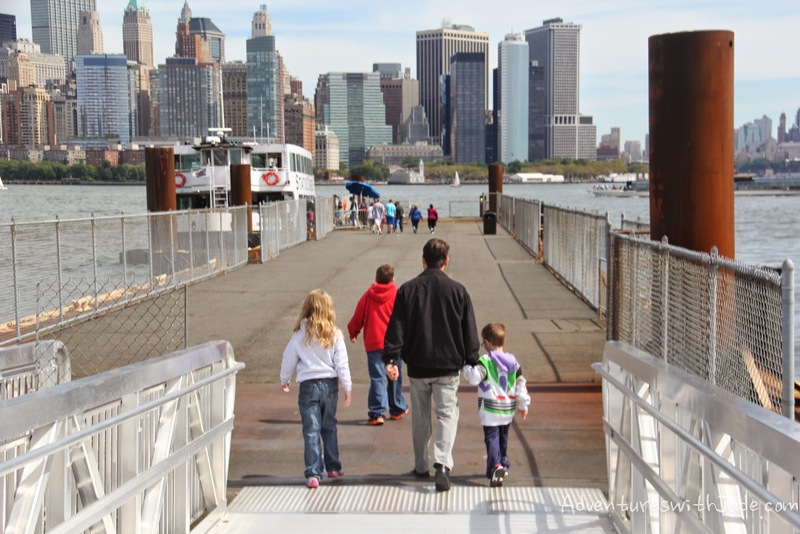 Ferry prices range from $9-18 (children under 4 are currently free) and include an audio tour handset. 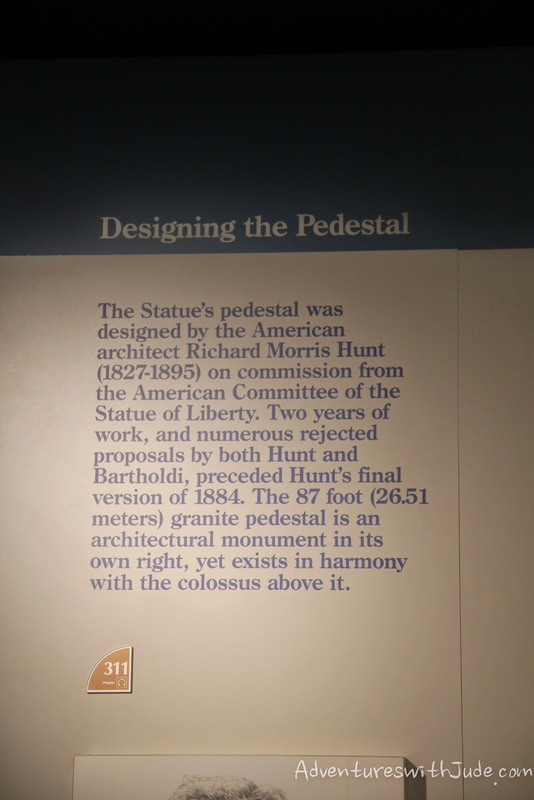 Although grounds access is automatically included, you need a timed ticket (free but needs reservation) to enter the Statute to the Pedestal level (including the Museum). Reserved tickets to the Crown are more difficult to obtain as they are extremely limited, so if you'd like to clime the 354 stairs to the top of Lady Liberty's head, you'll want to plan in advance. Crown reservations are paid tickets, for all ages (including the under 4 set). We chose to just visit the Pedestal (and Museum). Tickets and Ranger guides in hand, we passed through the very strict, airport-like security (remove belts, empty pockets, etc. but you can leave your shoes on) at Liberty Park and boarded our ferry for Liberty Island. And yes, since I have growing boys, a snack was in order. 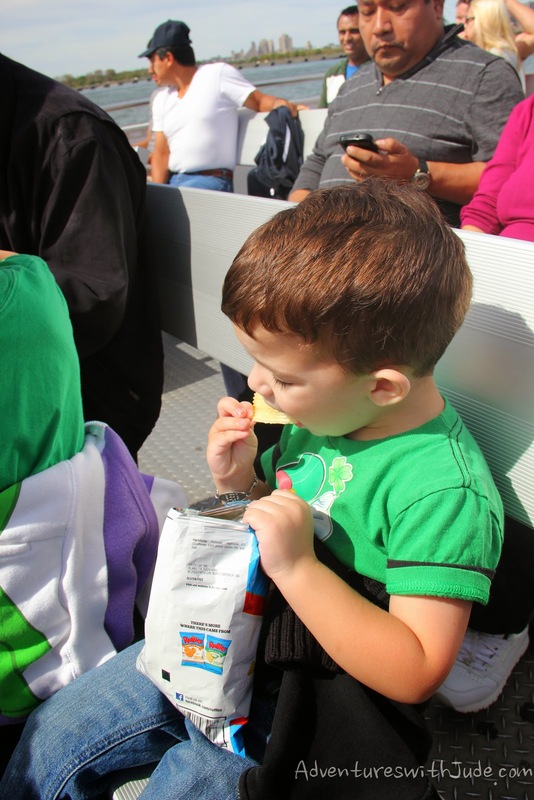 Snacks are sold on board the ferry, or you may bring your own. 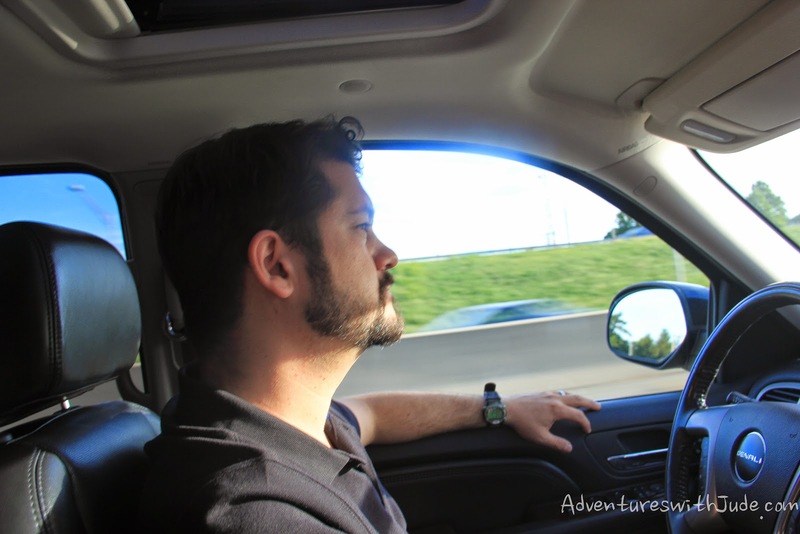 On the way to the island, you get to see all around the harbor. You can sit inside the boat, but I highly recommend the upper deck, so you can see everything. Of course, what you see depends on which direction you look. Lower Manhattan, including the 1776-foot Freedom Tower. Upon arrival, we got to work. We picked up handsets for the audio tour, and then checked out the packets to see what was inside the Museum and what information we needed from around the grounds. We decided to head inside to the Museum. This was one place none of us had been to before (or if Neal or I had, we didn't remember it). We learned about the history of the statue. 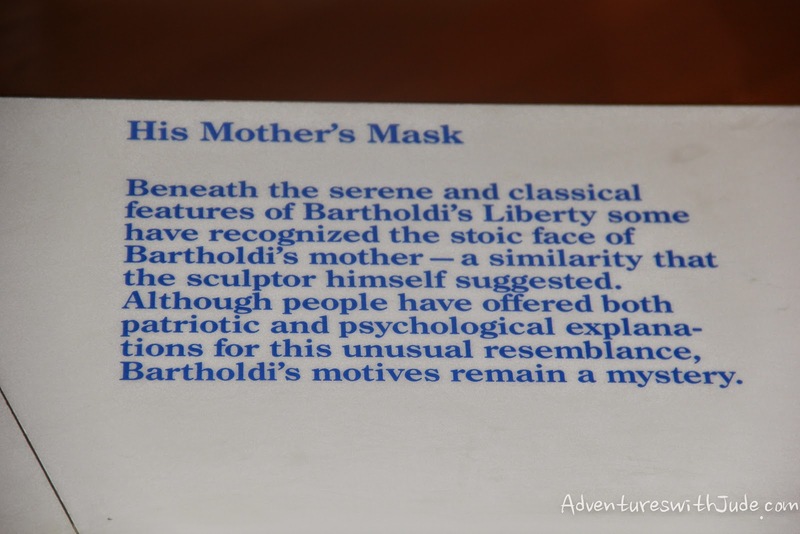 ...and Auguste Bartholdi is recruited to create it. We learned about the engineering of the Statue. The copper-clad skin (only as thick as two stacked pennies) covers an interior that employs the same scaffolding principles as the Eiffel Tower in Paris. There was a catch, though -- the Statue herself was a gift. 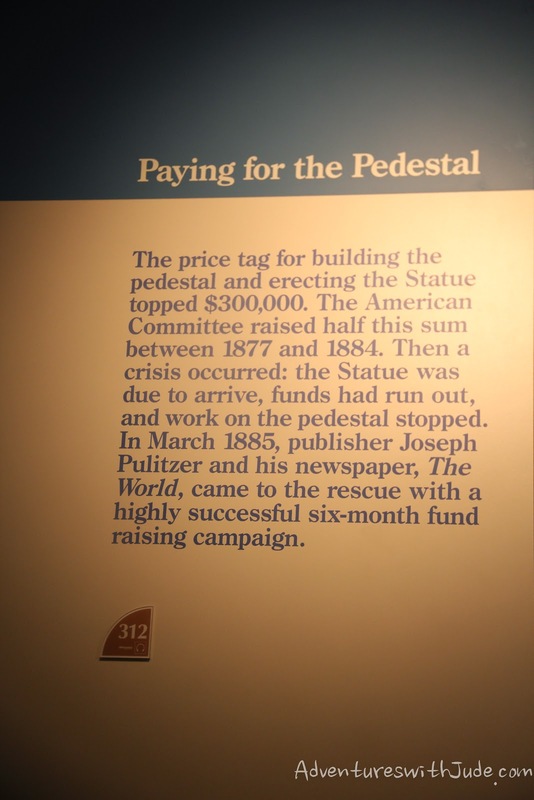 The Americans had to raise the pedestal. This poem wasn't actually written to be placed on the Pedestal. 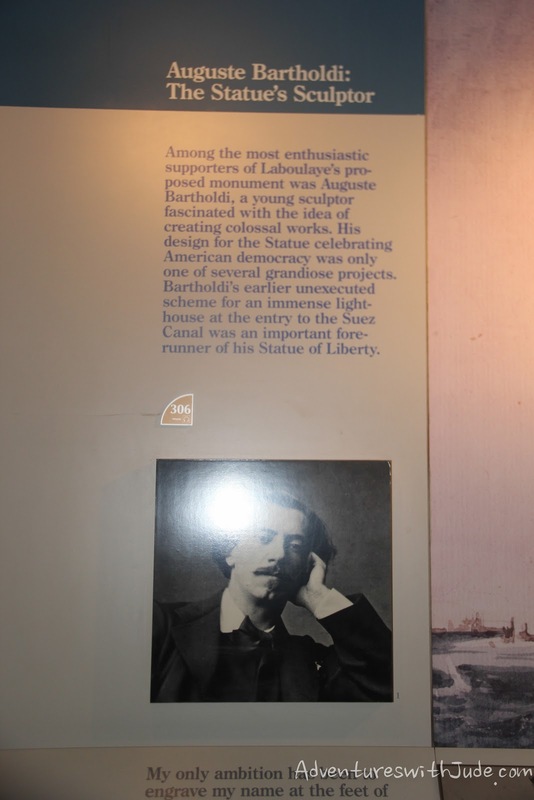 The American Committee for the Statue of Liberty approached Emma Lazarus, a young Jewish woman who worked as an aide for Jewish immigrants at Ward Island, to compose a sonnet to accompany an art exhibition fundraiser. It was revealed on November 2, 1883, and was later printed in both the New York World and The New York Times. Lazarus died just over four years later, and in 1903, Lazarus' friend, Georgina Schuyler, found the sonnet in a bookshop. 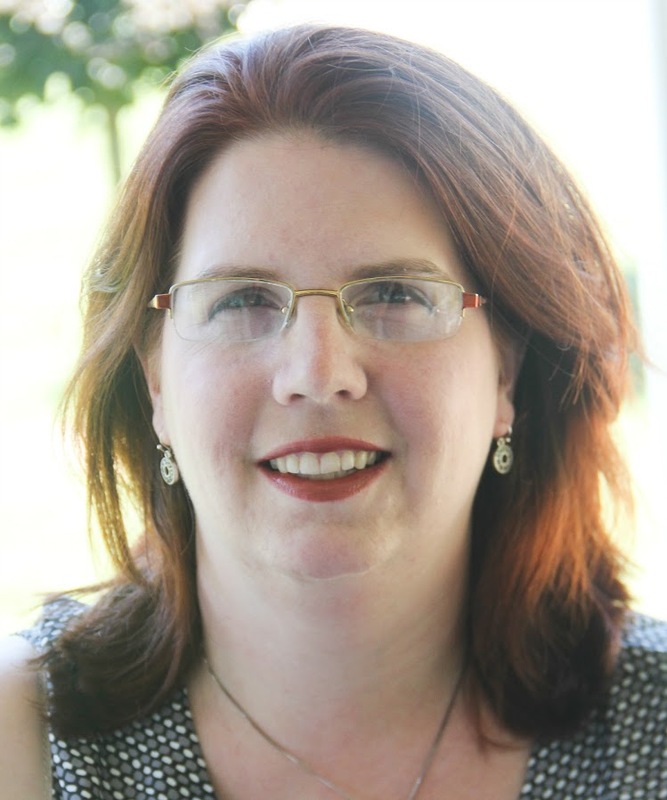 She spearheaded a campaign for the poem to be engraved on a plaque that was placed inside the pedestal. 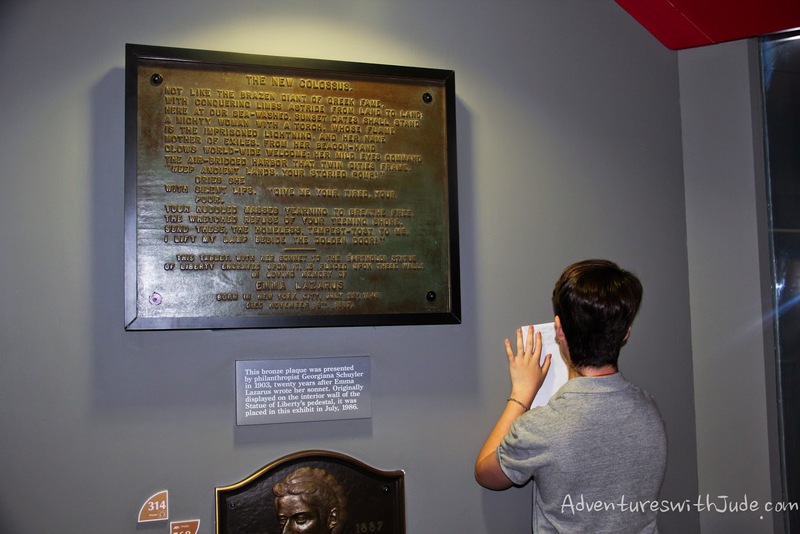 The original plaque is now preserved in the museum. Other items in the museum include the original torch lamp. Outside atop the pedestal, we looked out into the harbor, and could see for miles. 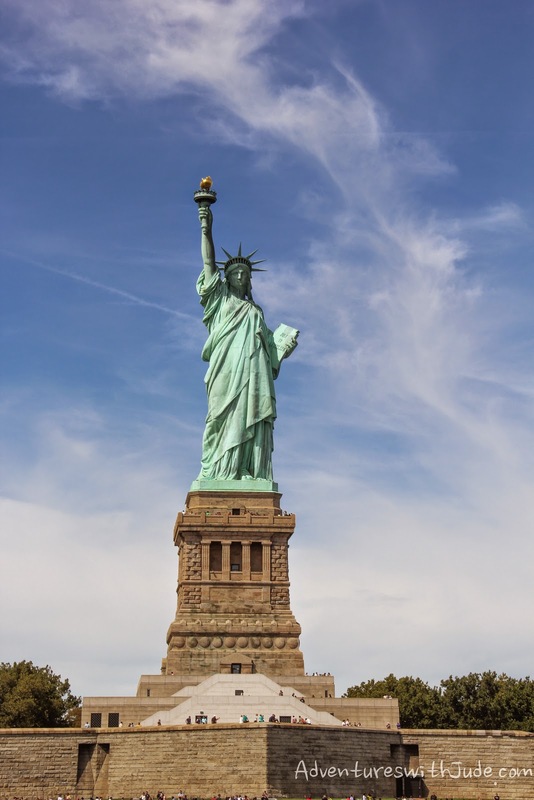 After weeks or even months of travel, we could only imagine the elation that immigrants felt when they saw this massive statue greeting them from the harbor. We then walked around the island to complete the rest of the outdoor portion. 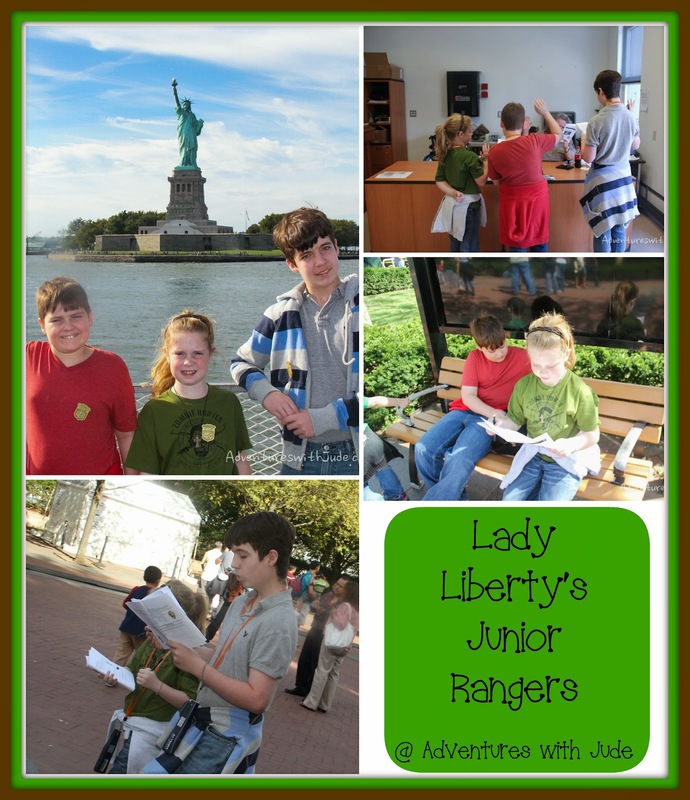 Once our books were completed, we went to the Park Ranger office to show them our completed booklets, and to be sworn in as Junior Rangers. As a Junior Ranger, I promise to help preserve and protect the Statue of Liberty National Monument and other National Parks so that they can be enjoyed by future generations. I will do this by sharing what I learned today with others. I promise to continue to discover, explore and learn about other National Parks and the National Park Service. 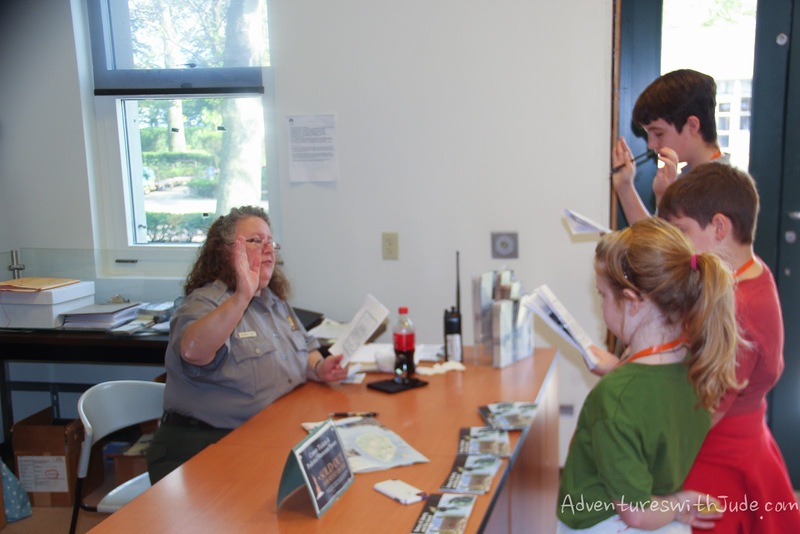 I also promise to have fun being a National Park Service Junior Ranger. 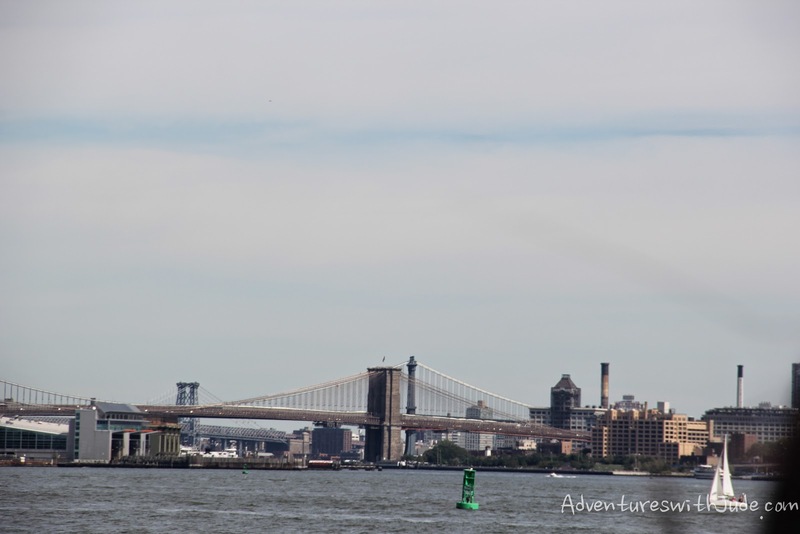 We then boarded the ferry for our return to Jersey City. 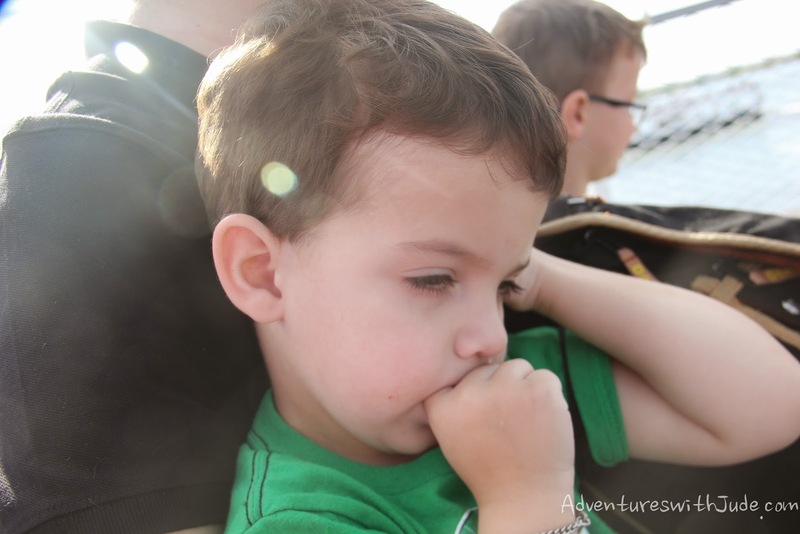 Damien was exhausted from all of the walking. Strollers are permitted on the grounds, but not in the Pedestal or Museum. 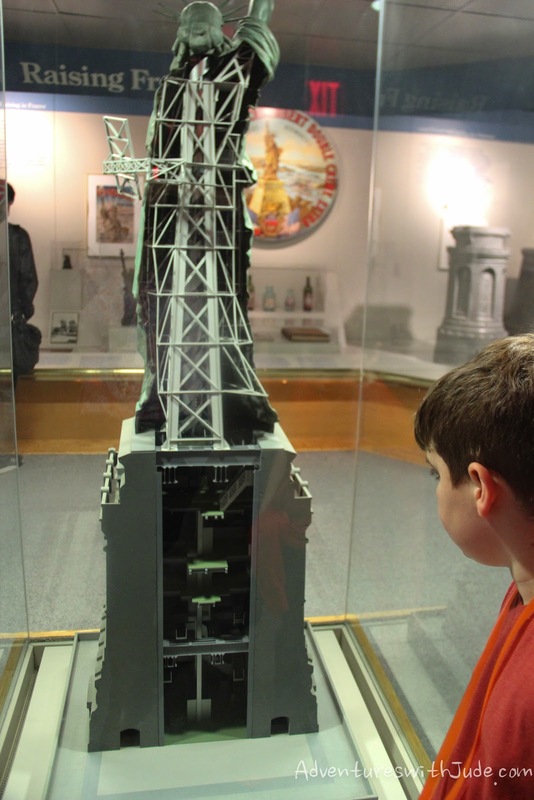 The Junior Ranger badges can only be earned in person, but if you'd like to take a virtual tour of the Statue of Liberty, you can click here to connect to the National Parks' tour page. 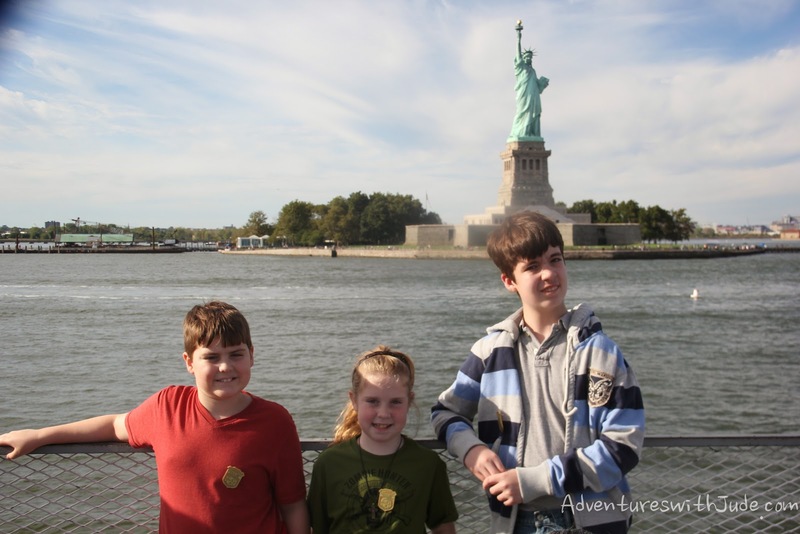 Now that we've done the Junior Ranger program at the Statue of Liberty, we're hoping to be able to go back to complete the Ellis Island program as well. 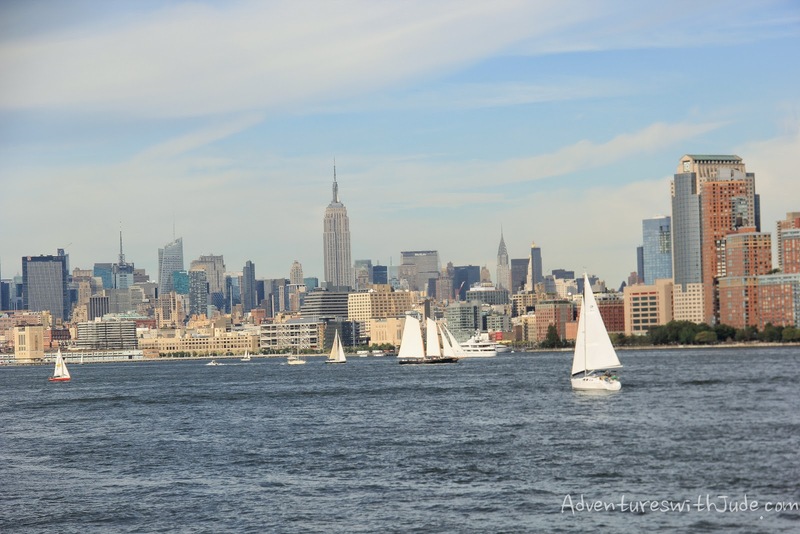 There are actually 21 national parks in New York Harbor, each with its own program, so we should be busy for quite a while!